Florida’s No-Fault Law regarding automobile accidents requires all drivers to secure and maintain Personal Injury Protection Insurance, otherwise known as “PIP.” The purpose of PIP coverage is to enable all passengers (and even pedestrians and bike riders) injured in an automobile accident to receive the medical treatment they need, regardless of who was at fault for the accident. Unfortunately, when the time comes to collect under a PIP policy, insurance companies often employ many confusing and litigious tactics to avoid or delay payment. Determination that treatment is not reasonable or necessary. This tactic generally starts with a physician hired by the insurance company to review the medical treatment and records. These “hired-gun” doctors commonly conduct either an Independent Medical Examination or Independent Medical Evaluation (“IME”) in which the doctor hired by the PIP insurer will conduct a physical examination of the accident victim and most often determines that either none or some of the medical treatment rendered to the accident victim was not reasonable or necessary in relation to the accident. Those IME doctors then write a report stating that continued medical treatment is not reasonable or necessary to the individual’s recovery, and thus the PIP insurer or auto insurance company can deny further coverage using that report as its basis. Another way that the auto insurance companies can reach a similar result is by hiring those same outside doctors for a “Peer Review,” which is when the outside insurance doctor will not conduct a physical exam but will simply review the records and documents of the treating physician and then reach the same result – no further treatment would be reasonable or necessary. Alleging that the injury is not related to the accident. Under this tactic, the insurance company asserts that the injuries under the claim are unrelated to the vehicle accident. Insurance companies generally ask accident victims to sign medical release forms. Unfortunately, without guidance from a skilled Fort Lauderdale personal injury lawyer, an injured party may inadvertently sign a blanket release form. This allows the insurance company to view their entire medical history, as opposed to solely reviewing information relevant to the accident. Insurance companies use this opportunity to look for medical conditions in your past that they can connect with your current injuries. These release forms may even allow the insurance company to uncover psychological treatment or counseling you may have sought in the past. The IME doctors and peer review doctors can also assert that the injuries are unrelated to the accident, causing a denial of PIP coverage. Delay tactics. Some insurance companies intentionally delay PIP claim decisions in hopes that that the accident victim, and more often the medical provider, will eventually give up the pursuit of the medical benefits owed under the PIP policy. The adjuster may ignore telephone calls or continuously request unnecessary documentation, or the insurance company may simply ignore the bills they received from the medical provider until that provider contacts a qualified Florida PIP attorney for a PIP demand letter. Yeboah Law Group P.A., has handled hundreds, if not thousands, of Florida PIP cases, and has collected hundreds of thousands of dollars for their clients in PIP benefits. It is the insurance companies hope that as medical bills pile up, providers will not exercise all of their legal rights and means of redress to collect the PIP benefits owed to them, along with the insurance company hoping that the difficult commitment to attending consistent treatment and burden of living expenses pile up, the individual will either quit treatment or simply not understand that they are owed PIP benefits and how to go about collecting them. Do not let the insurance company avoid its responsibilities under a PIP policy. 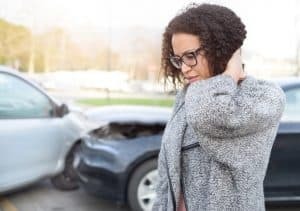 One of the main purposes of the Florida No-Fault Law is to allow for quick and easy payment to medical providers who provide treatment to auto accident victims in Florida, no matter who is at fault in the accident.  When insurance companies breach their contractual duties under a PIP insurance policy, the attorneys of Yeboah Law Group, P.A., can effectively use litigation to secure payment of your claim. Contact us for a free in-depth consultation of your personal injury protection or injury claim in Miami-Dade County, Broward County and Palm Beach County. Call 1-800-TELL-SAM or complete our contact form to schedule a free consultation.